Omoda, a global Netherlands-based footwear and accessories manufacturer, has put its shoppers at the center of everything they do since its inception way back in 1875, when free home deliveries were made by horse and carriage. Omoda’s passion for footwear and customer satisfaction is as evident now as it was then. Today, even through enormous growth over the last ten years, Omoda has maintained a close-knit connection to their customers wherever they are: in-store, on a mobile device, within marketing engagements, or customer service requests. 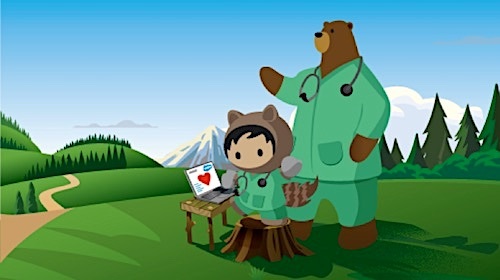 Gertie Bin, marketing and ecommerce manager, relies on Salesforce to stay ahead of changing shopper behavior, which includes having a 360-degree of customer activity. That’s why Omoda, which was already using Service Cloud and Marketing Cloud migrated its website to Commerce Cloud in April 2017. Omoda was seeing growth both online and in-store. Sixty percent of online traffic and half of its online revenue was coming from mobile, while each time Omoda opened a new store, total revenue grew between 20 and 30%. Omoda went live with Commerce Cloud across its five sites, in four languages, using the Storefront Reference Architecture (SFRA), a mobile-first template for site design, and immediately saw a 5.5% year-over-year conversion rate improvement across mobile and web, compared with its previous ecommerce platform. SFRA enabled Omoda to build a truly mobile-first user experience and enabled buy-online-pick-up-in-store capability, and an inventory availability service to unify the shopping experience. Providing a unified online and in-store experience, one in which the online experience can provide the shopper with the same level of service and personalization as a store associate, is just one example of the way Omoda builds a strong connection with its shoppers. The relationship usually begins with a marketing campaign using Marketing Cloud Email Studio and Advertising Studio Advertising Studio, as well as integrations into Facebook, and other social media channels. Bin and her team are especially proud of Club Omoda, their loyalty program with over 1.2 million members. 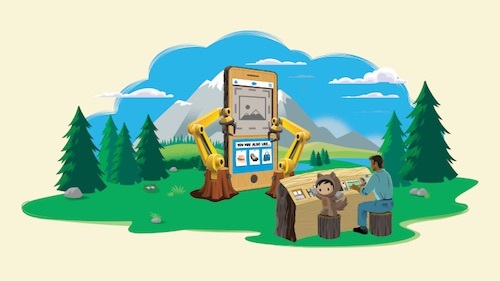 Using integration between Commerce Cloud and Marketing Cloud, via the Salesforce Commerce and Marketing Connector, Omoda is able to segment Club Omoda members into customer groups with Commerce Cloud and use Marketing Cloud Journey Builder to personalize email promotions. An example of this is alerting Club Omoda members of their birthday discount. Omoda has over 50 Marketing Cloud Journeys to reach their shoppers. This shows the value of unifying their commerce and marketing, to personalize messaging, deliver a seamless experience, and provide marketers a single view of their shopper. 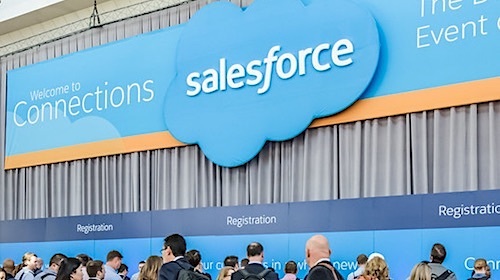 The partnership between Salesforce and Omoda is only partially about technology. Bin and her team look to their Customer Success Managers and Cloud Practice Teams to help build a trusted path for success and to help ensure future growth. Salesforce integration partner, Clockwork, has also been a key piece in Omoda's success. Clockwork led all development efforts as well as third-party integrations. 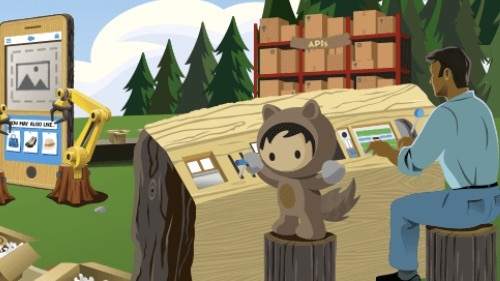 Currently, Clockwork is building an integration between Service Cloud and Commerce Cloud, using another Salesforce connector. This will enable customer service agents to order on behalf of customers and maintain a single shopper record of the shopper's history, including their returns, inquiries, and loyalty points. Again, Omoda shows how it’s blazing trails in fitting all the pieces of the customer journey together into one view.